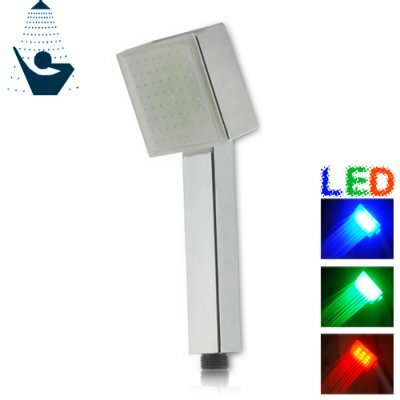 Successfully Added LED Color Changing Shower Head (Square Edition) to your Shopping Cart. Great for new installations or retrofitting into existing showers, this LED Color Changing Shower Head (Square Edition) can be installed and working in just a few short minutes. Ever since we introduced the first version in 2008, these have become an instant e-tailing best seller. Now, we are happy to give you a new square head version of the super popular LED Color Changing Shower Head. The unique square shaped head on this model gives you a great equilateral tetragonal spray of water to enjoy and also better matches modernistic bathroom decor. This model does not include a Wall Bracket or Mounting Hardware. If you need a model with more accessories, then please order the CVCL-G194.